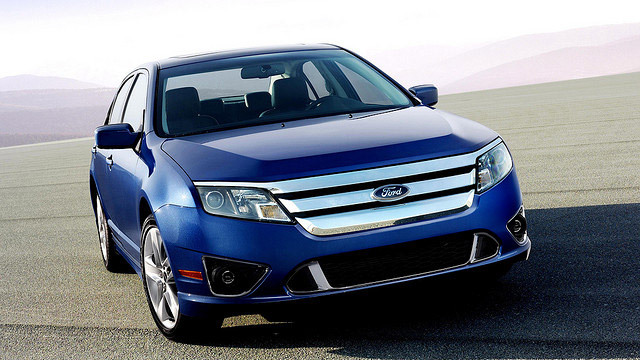 The leader for top-notch Ford service and repair in Pleasanton is Domestic Autopro. If you drive Ford and need repair or service, put your trust in our trained, skilled, and ASE-certified technicians. In comparison to other Pleasanton auto repair shops, our Ford repair service is more affordable and the quality is unparalleled. Whether you need a particular repair or general maintenance, such as transmission repair, wheel alignment, or oil changes, we'll fix your Ford vehicle right the first time and in a timely manner. Our team of auto repair technicians is well familiarized with any Ford model. No matter how small or big the problem is, we can run diagnostics, suggest the best course of action and provide answers to all your questions. We offer honest and quality repairs and services at affordable rates. You love your car, and we do, too. If you’re in the Pleasanton area, your best option for Ford service and repair is Domestic Autopro, guaranteed. When an automobile is well-maintained with regular tune-ups, it will run smoother, longer, with better gas mileage, and more efficiently. Put your trust in our Ford repair specialists to create a Ford service and repair plan, specifically designed for your automobile, even a Ford 250. We’ve dedicated ourselves to creating a great environment and superior customer service, since 2006. There’s a reason why Ford drivers in Pleasanton trust us with their Ford repairs and services over and over again.